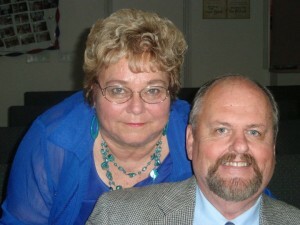 Pastor Gary and Mary Langley are the founding pastors of High Calling Assembly of God. Since 1997 they have led the congregation with a vision to reach Austin, Texas. The church has had a focus to reach lost souls and help those in need throughout the Austin and surrounding areas. The vision was birthed in prayer through Pastor Langley at his home around October 1995. With being patient and waiting on the Lord the church begin to unfold in vision. Over the years High Calling has seen ministry go forth towards support of the Assemblies of God Missions throughout the world as well at home here in the U.S.A. The church believes in support to those in need through out the city of Austin; including helping other ministries reach out to the homeless as the Lord leads. We have a love for the lost! As we build towards equipping teams for ministry at the church we seek those willing to get involved with their specific calling. Come and get connected for we would love to encourage you as you encourage others to draw closer to the Lord Jesus. We ask each person to remember “it is not what the church can do for you, it is what you can do for God and people through this church”. Are you ready to be used for the work of the Kingdom? If so, we have a place for you!